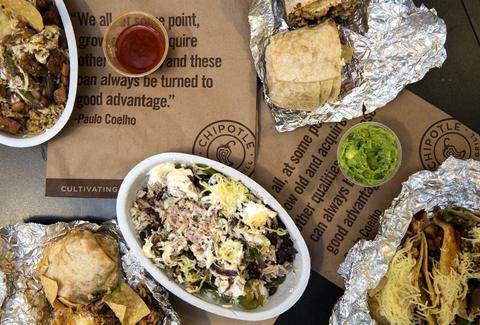 Are Chipotle's New Food Safety Procedures Working? Exactly a month after Chipotle closed all its restaurants for a national food safety meeting, the fast-casual burrito chain's comprehensive new safety measures and its promise to avoid further food-borne illness outbreaks were put to the test this week with a norovirus scare at a Chipotle near Boston. And while a mere food-borne illness scare is bad news for Chipotle these days, it appears the company managed to prevent another disaster. 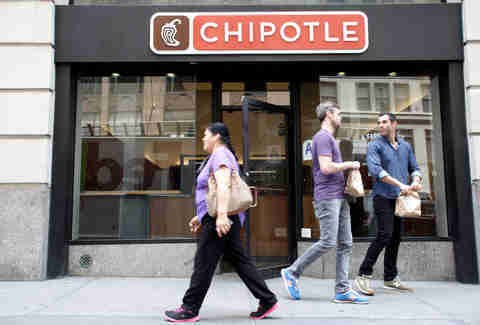 Chipotle voluntarily closed its Billerica, MA, outpost on Tuesday after company officials learned four employees were sick, some of whom were suspected to have the highly contagious gastrointestinal illness know as Norovirus. Although the sick employees stayed home and did not work while ill, the company thoroughly sanitized the restaurant and reopened on Thursday after receiving an all-clear from local public health officials. As of Thursday, there have been no reports of sick customers. So are Chipotle's safety measures working? Well, Chipotle thinks so. "In this case, we had four employees who were not feeling well and stayed out from work -- exactly what should happen," Chipotle spokesman Chris Arnold said via email. "As a precautionary measure, we closed the restaurant to have it completely sanitized, and reopened today with the support of the local health department. So this very much seems to be a case of the system working very much as it should." Billerica Health Director Richard Berube told Reuters Chipotle was "very proactive," and others appeared to praise the company for its response to the illness threat and the fact that the sick employees stayed home. Doug Powell, publisher of food safety site barfblog.com, said the Billerica incident didn't appear to test Chipotle's new measures for ensuring the ingredients it sources are safe, but notes the worker's decision to say home was a "good sign," according to the report. "It sounds like [Chipotle] tightened things up considerably and one would hope that they could keep problems from reoccurring." As part of its extensive food safety program, Chipotle is one of the few national restaurant chains that offers a paid sick program for its employees. When asked by Thrillist, Arnold would not say the Norovirus scare is an example of the paid sick program in action, and simply reiterated, "I think it’s an example of the system working the way it should." Robert Gravani, a food safety expert and professor at Cornell University, said it's hard for him to say if Chipotle's new food safety measures are working, but notes that paid sick leave for restaurant workers is an "important proposition." "A lot of times, food workers really depend on that paycheck at the end of the week and if they stay home, they don’t get payed." he said. "Paid sick time encourages people not to work when they are sick, and hopefully this doesn’t get abused, but they can stay home and recover." Gravani believes Chipotle did the right thing by closing and sanitizing the restaurant out of an abundance of caution. "I think Chipotle’s quick reaction to this situation in closing things down and double checking everything and being prudent is clearly an indication that they’re trying to win back the trust and confidence of their customers and the general public,” he said. “It sounds like [Chipotle] tightened things up considerably and one would hope that they could keep problems from reoccurring."